Easily customize the look & feel of the included mobile event app. Your Branded Event App Awaits! Customize the branding of the included Mobile Event App using our built-in theme editor. Effortlessly change colors, background imagery and your logo. Your changes are instantly applied to your event app. The best part? 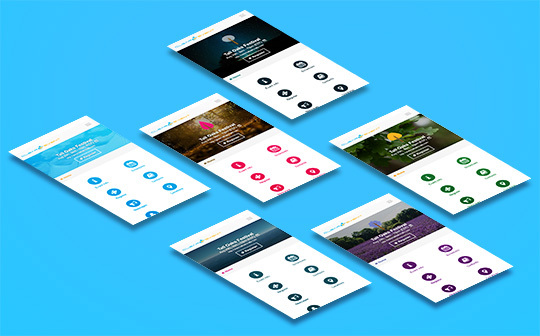 You don’t need to be a web designer to customize the look & feel of your Mobile Event App. Create Your Own Branded Event App In Minutes. 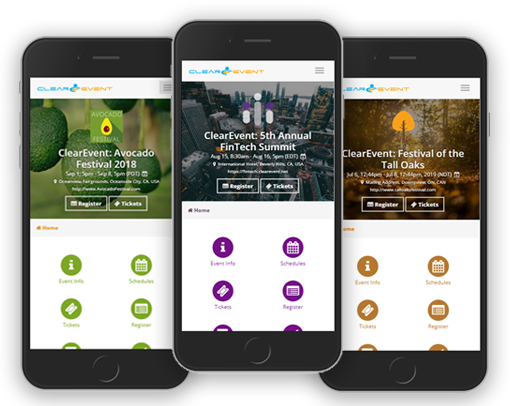 Create your branded event app for free. No credit card required. No trial expiry dates.